Scabies is a really rough condition to deal with. In fact, the thought of it alone is enough to make you quiver. Fortunately, home treatments for scabies are non-invasive, easy to perform and can help you deal with the uncomfortable symptoms associated with this infection. The symptoms and treatments for scabies are vast, so it’s likely you’ll find a home remedy that works for you. Scabies infects about 300 million people around the world per year, with about one million cases in the United States. It’s a highly contagious condition caused by an infestation of mites called Sarcoptes scabiei that burrow in your skin. They then survive be feeding on your skin, causing severe itching and rashes. Home treatment for scabies involves remedies focusing on killing the mites and relieving the itching and pain they cause. Scabies is a highly contagious condition and typically passes by skin-to-skin contact. It’s also common for it to be transmitted sexually, and people living in assisted living homes or institutional settings also have a higher risk of catching it. You get scabies when the mites burrow down into your skin and begin to eat it. Because they are living inside you, your body produces an allergic reaction not only to their presence, but also to the eggs they lay and waste they create. According to research, the average infection will consist of 15–20 mites, but these numbers can multiply as they begin to reproduce. While they live, rashes, sores and dry skin will appear, and in severe cases a flaky crust may form. Itching: Itching is the most common symptom and it can be very intense and severe. It can be treated with home remedies. Rash: When mites burrow into your skin they create tracks, which can lead to a rash. Rashes are most common within skin folds and resemble a hive, bite, pimple, or a patch of scaly skin. Blisters may appear, too. Sores: Will develop after the infected areas have been scratched, which can lead to infection. Thick Crusts: Also called Norwegian Scabies, thick crusts can occur when hundreds or thousands of mites infest the skin. This is rare, but as you might imagine produces severe itching and strong symptoms. When this happen, flaky gray crusts appear at the infected area. There are a number of natural ways you can treat scabies at home. Here’s a list of ten natural home remedies for scabies that can help you relieve the pain and itching of the infection. One of the better scabies home remedies is tea tree oil. It features a compound—terpinen-4-ol—that helps kill the parasite that enables scabies to flourish. It also has antiseptic, anti-inflammatory, antibacterial, antifungal, and disinfectant properties. To use it to treat scabies, mix equal parts of tea tree oil and olive oil together. Use a cotton ball to absorb the mixture, then dab it on the affected area. If you’d rather soak in a bath, add 10–12 drops of tea tree oil to lukewarm water. Both forms of treatment can be done twice a day and you should see results in a couple of weeks. A word to the wise: tea tree oil may irritate sensitive skin, so test how you react to it first by applying it to a small area. Another good scabies home treatment is vinegar. The acetic acid within it can create a toxic environment for the mites, and will kill them off. Mix one part vinegar and one part water, and use a cotton ball to dab the mixture on the affected area. Let it stand for about five minutes, and then rinse off with lukewarm water. Do this up to three times per day, and you should notice a difference within a few days. Neem oil is a botanical pesticide that’s also used as a natural treatment for scabies in addition to other skin conditions. Featuring anti-bacterial and anti-fungal properties, it can take care of the problem by stopping mites from reproducing. Apply it directly to the affected area and gently massage it in. The leaves of the neem tree have the same qualities as neem oil, just in a different form. You can make a paste out the leaves by soaking them in warm water, crushing them using a mortar and pestle, and applying the paste to the affected area after a thorough washing. Let it dry naturally, and then take a bath to remove it and wash the area again. Clove oil can help clean the area while providing much needed relief from itching. Because it can burn your skin, it’s essential to dilute it before application. To do so, mix one tablespoon of clove oil with four tablespoons of virgin coconut oil (or olive oil) and put it on the affected area, leaving it to absorb. To naturally treat scabies you just might have to look inside your fridge. An onion can offer an effective treatment because it contains quercetin, which is a known pain reliever and can help with the itching. It also has organosulfur compounds than can attack and kill off scabies parasites. Cayenne pepper can burn and kill the mites causing the problem. Mix a cup of cayenne pepper powder into a hot bath and soak in it until the water gets cold. Once that happens, rinse off with cool water and remember—don’t get any in your eyes! A well-known anti-inflammatory, turmeric can protect you from the itch of scabies, as well as any other secondary infections. You can combine it with the neem remedies mentioned earlier, or make a paste using one tablespoon of turmeric powder and a few drops of lemon juice. Apply it to the infected area and allow it to dry naturally (about an hour). Rinse it off with lukewarm water to finish the treatment. You can do this once per day. Lavender oil can be effective in killing scabies parasites while also helping with skin regeneration so infected cells are shed away. Use it with olive oil on affected areas, rubbing it in until it’s absorbed. You can do this many times a day. 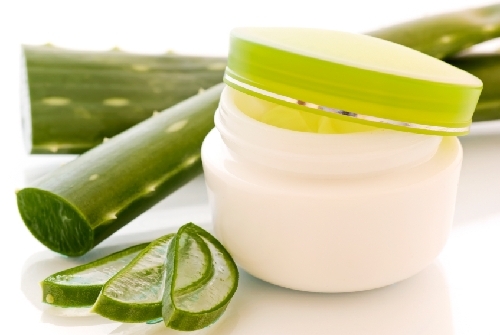 Aloe vera might help speed up the healing process by using its antimicrobial and skin-healing properties. Apply fresh aloe vera gel to the affected areas and leave it on for a half hour before rinsing it off. You can do this up to three times per day. “Home Remedies for Scabies,” Top10HomeRemedies.com; http://www.top10homeremedies.com/home-remedies/home-remedies-scabies.html, last accessed February 16, 2016. “13+ Natural Home Remedies to Get Rid of Scabies Fast,” BeyondDisease.com; http://www.beyonddisease.com/home-remedies-to-get-rid-of-scabies, last accessed February 16, 2016. Smith, L., “Scabies: Causes, Symptoms and Treatments,” Medical News Today web site, July 31, 2015; http://www.medicalnewstoday.com/articles/16961.php, last accessed February 16, 2016. “How to Make Fresh Neem Leaves Paste,” WikiHow web site; http://www.wikihow.com/Make-Fresh-Neem-Leaves-Paste, last accessed February 16, 2016.